Hey guys! It's finally here! Eeeep! I am sooo excited! 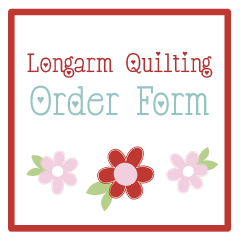 If you are new to the sew along, you can find all the info HERE! If you need a pattern, you can get a PDF version HERE, or paper version HERE. Anyways, I love how my first block turned out! I can't wait to see your blocks! Please email me pics (primrosecottagequilts@gmail.com) or use the #nestingstarssewalong so I can see your blocks! Now let's get to the giveaway!! If you complete block one, you will fill out the form below. I will randomly draw a winner for the first giveaway! This week I am doing the giveaway and it is sooo awesome! 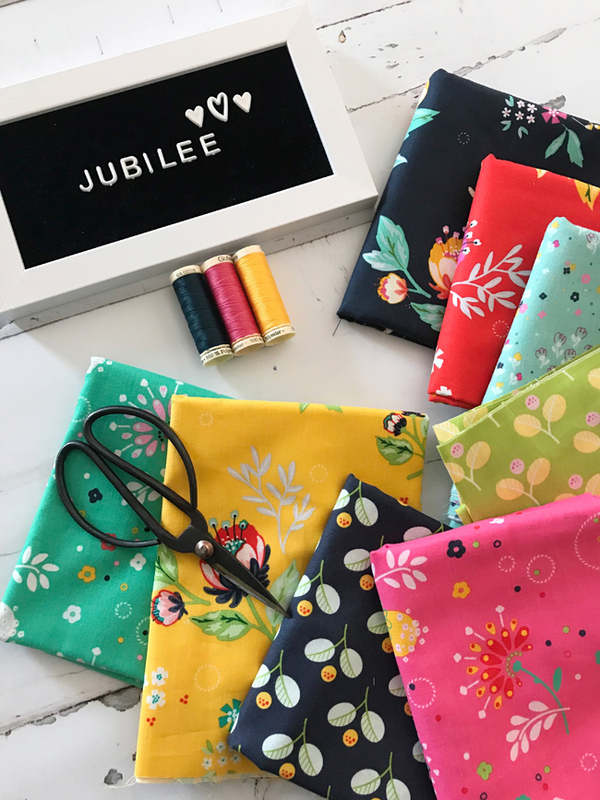 I am giving away a bundle of Jubilee fabric by Riley Blake Designs! You may have seen me making a quilt out of this bundle of fabric (HERE) - which I will be sharing later this month! 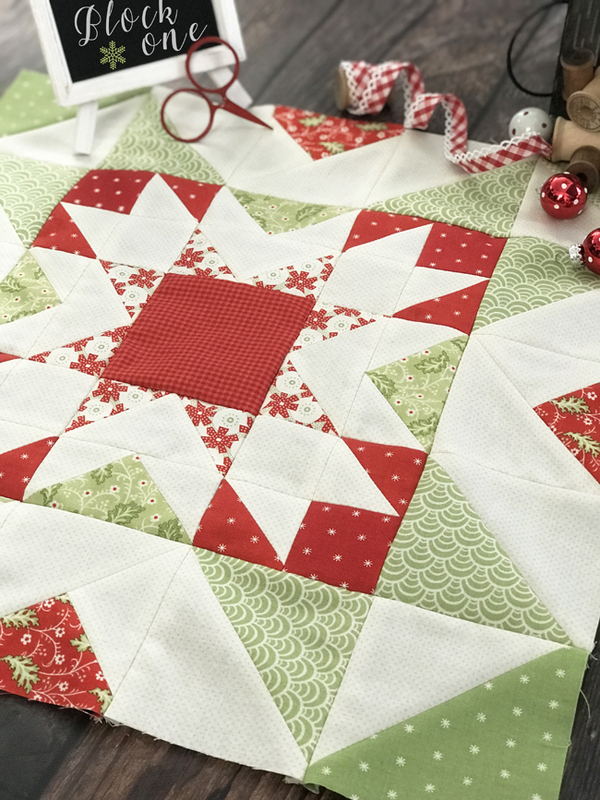 I will be giving away this bundle + the pattern I used to make the quilt! :) This will make the whole quilt (even binding) you will just need to get your own backing and background fabric. Fill out this form, if you have completed your first block to enter the giveaway. 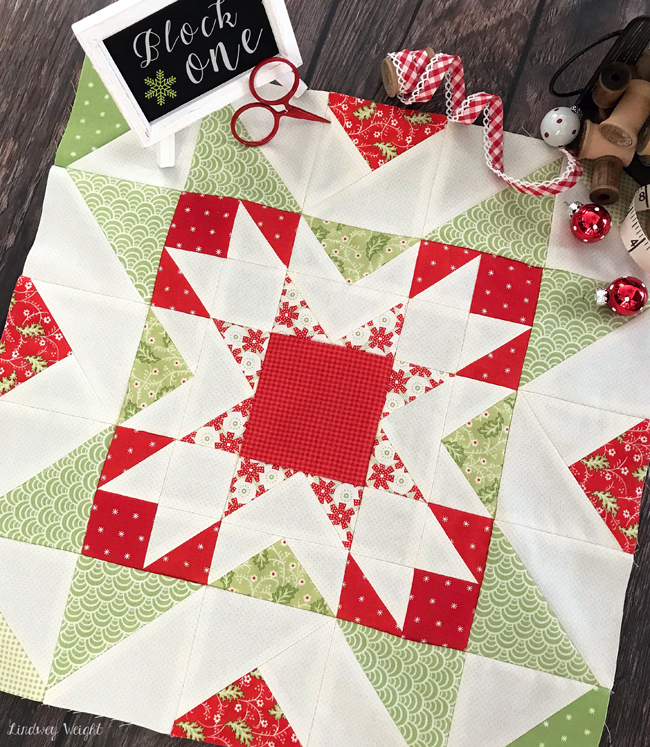 Hi Lindsey, I am using the same Christmas Figs fabric for my Nesting Stars quilt, I would like to know which fabric did you use for the background? I can't quite tell from the photos? Which ivory did you use? Thanks in advance for your attention to my question!! !